Please join me on my new Fitness, Nutrition and Health website (17.10.2016) www.YourHealthHabitCoach.com for more information in relation to (1) *Online-Coaching*, (2) Personal Training, (3) Nutrition & Health Coaching, (4) Group Fitness & Exercise Classes and (5) Corporate Fitness & Well-Being in South Dublin. If you want to lose weight, boost your fitness, increase your energy, learn “How to get into habits, routines that allow you to achieve these goals.” and learn “What exercises and activities enable you to accomplish specific fitness, health and well-being ambitions? “, then you made the first step into the right direction. You understand that it is you who makes the decisions to move gradually closer and closer towards getting there. Being healthy and fit is a lifestyle choice and consists for most of us of making gradual changes that you can sustain and keep up over time. G et Fitter, Trimmer and Slimmer in a “Healthy Way” in 2016 ! to learn more about Fitness, Health, Exercise, Diet and Nutrition. 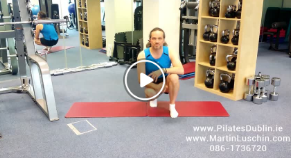 benefit from Two-to-One or Partner Training. 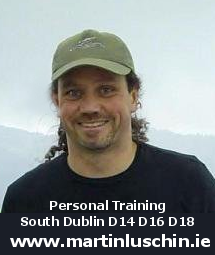 Personal Training, Exercise & Fitness Classes in South Dublin since 2002. In-Person or *Online Coaching* & *Online Consultations* now available. with small steps, that add up and will get you results. vital role in getting fit, staying fit and being healthy no matter what age you are. I just finished a one year “Nutrition & Health Coaching Course” in Bray with the IINH (Irish Institute for Nutrition and Health) in Bray to deepen my knowledge and expertise in the nutrition and health field. I’m offering Nutrition Coaching consultation from now on (28.07.2016).